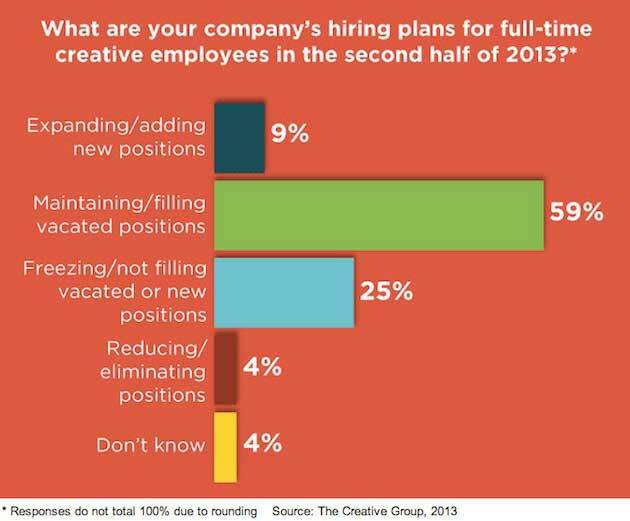 Most marketing departments and advertising agencies plan to maintain current full-time creative staff levels in the second half of 2013, according to a recent report by The Creative Group, a staffing agency. Among the of marketing and advertising executives surveyed, 59% said they plan to hire only to fill vacated roles during the remainder of the year. 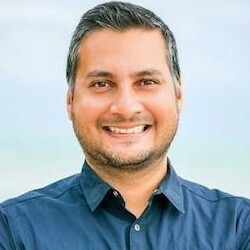 An additional 9% anticipate expanding their teams of creative professionals, 25% project hiring freezes, and 4% expect to reduce the size of their staff. Below, additional findings from the report, which was based on a survey of 400 marketing and advertising executives in the United States.